Yesterday, the Children and Families Bill, to make changes to the law relating to childminder agencies and childcare provision, was discussed at the house of commons. As you would have already seen, the bill has caused quite a storm among childcare professionals. ‘There is a huge issue around the ratio changes being proposed. This policy is an unworkable one, it beggars belief, it does nothing to reduce the costs, and if you take on generous reading and it does, it is at the cost of quality’. ‘If this ratio change had come in before I went back to work, I may not have gone at all. I didn’t want my baby in a nursery, I feel very strongly that parents need the option of leaving their children in a safe caring home environment, with a childminder’. 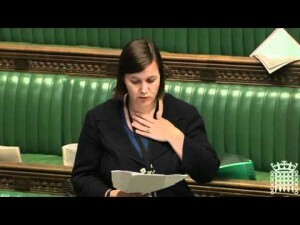 Watch more from Meg Hillier and others, at the Second Reading of the Children and Families Bill here. ‘Really concerned with what happens with childminders who do not wish to join an agency as they are graded good or outstanding using their own skills rather than an agency’s. Really hope that Ofsted recognise our capabilities for remaining independent by allowing parents to use us as well as claiming government financial assistance with tax credits, company voucher schemes etc and that by opting out of the agency umbrella we are still able to offer these by having a good or above Ofsted grade instead’. ‘Clause and schedule. Both are ridiculous ideas and should be scraped. Ratios are fine as they are for safety and the emotional well being of children. Childminders choose to be self employed and not work for others. Leave childminders alone they do a fantastic job and do not deserve the government interfering any more and putting children at risk! Ms truss should try engaging with childminders and parents to find out what they want’. In addition childminding UK has reported that, Liz Truss only wants to meet childminders, who are broadly in favour or at least ‘open minded’ about moving to an agency model, at local meetings this week. We would really like to hear your views on the Second Reading of the Children and Families Bill, at the House of Commons yesterday, and Liz Truss’s requests to only hear from those that are for the introduction of childminder agencies. Share your comments here with us and participate in our Childminder Agencies Poll. Established registered childminders do not want agencies telling us how to run our businesses – or bringing hundreds of new childminders online in competition against us. We have spent many years working hard to raise our profile and be seen as equal to nurseries and other early years providers and this is starting to happen – now we are told that nurseries could be the ones to control us!! We do not want or need this. We are perfectly capable of managing with local authority support – but that is being taken away from us, leaving many areas without any support at all. Instead of this agency nonsense Ms Truss needs to look at the country as a whole – leave those areas which are managing just fine alone – and provide extra support in those areas where it is needed. This will enable childminders to continue looking after the children without all this worry about our business sustainability hanging over our heads. Does Ms Truss really want thousands of highly trained and skilled childminders on benefits? She’s going the right way about it at the moment 🙁 For more details about how childminders feel about agencies you might want to read my analysis of the ‘More Great Childcare’ plan here – http://www.childmindinghelp.co.uk/mgc. It has been sent to Ms Truss but she has yet to respond. So annoyed it has took me days to find this government forum despite e mails to them to find out it is closed!!! Surely consultations should be on going. It is absolutely atrocious that Ms Truss is only extending the invite to those who are in favour. Mind you, it will be more than likely quite a small gathering so at least she won’t have to break out the best tea service! So when do those who are not in favour or those who have genuine concerns and questions going to be accorded the same courtesy (an audience with not the tea service!). Its hardly a democratic process at the moment and certainly not a vote winner!